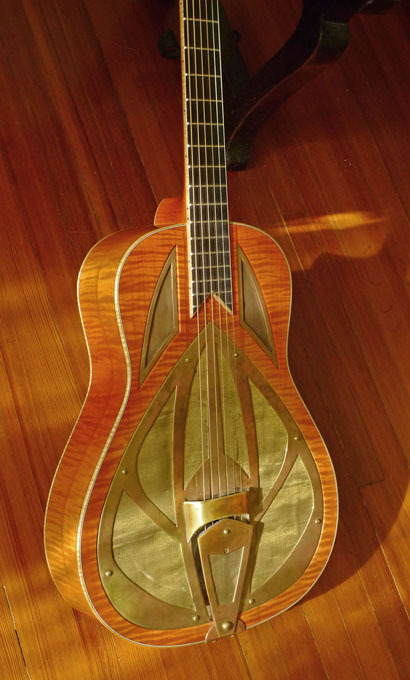 This stunningly beautiful, one-of-a-kind custom built resonator (from 2006, in beautiful crack-free condition and with only light wear) is from Tony Nobles, well-known luthier, and maker of instruments for Joe Walsh, Billy Gibbons and many other artists. 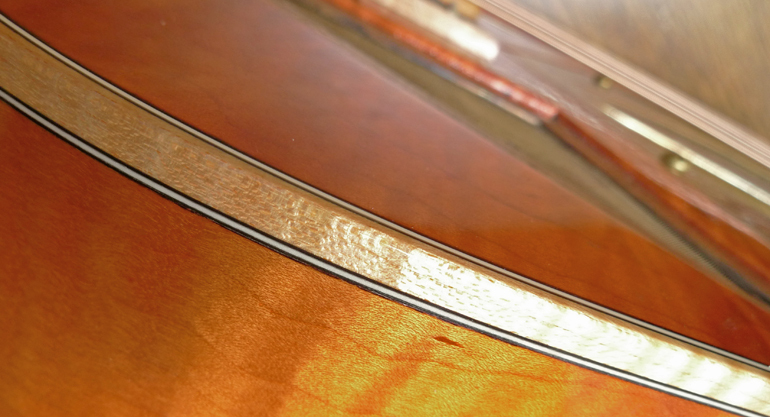 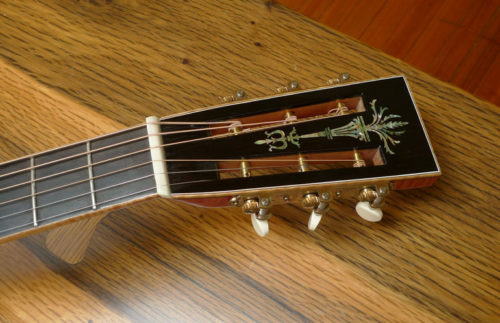 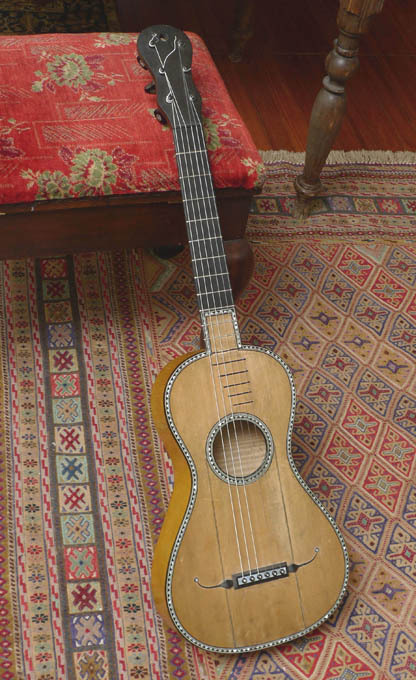 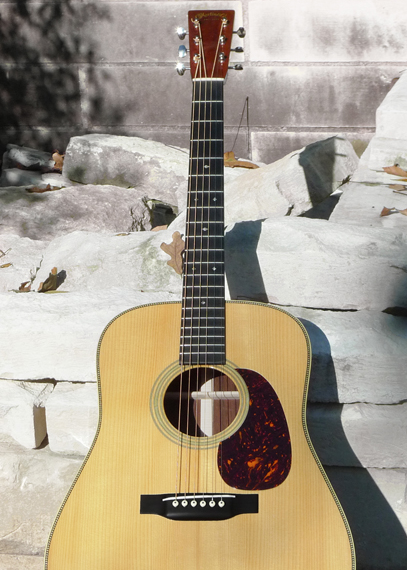 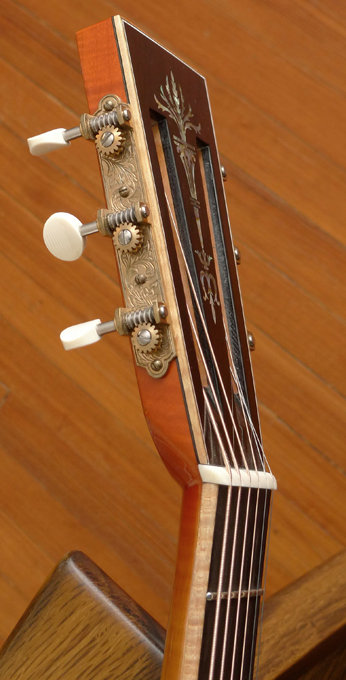 The art deco ornamentation compliments an incredibly well built instrument, with meticulous attention to detail. 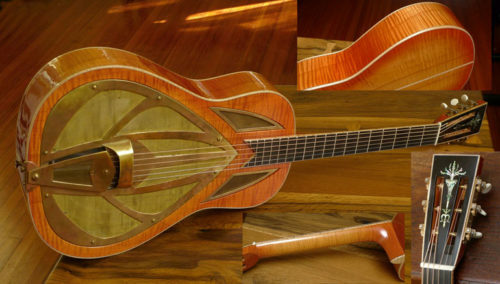 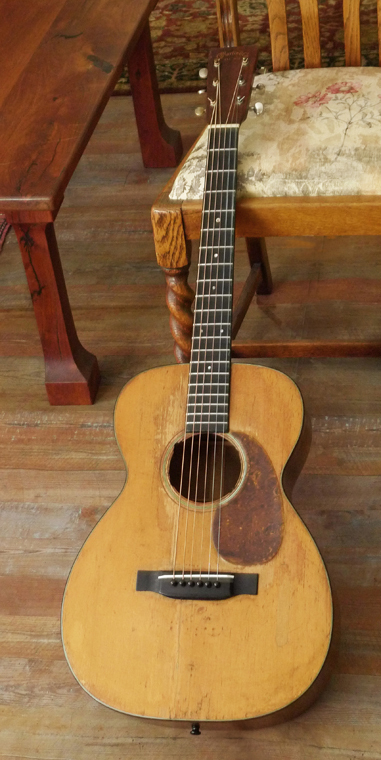 Listen to/watch the video clip where guitar master Redd Volkaert put this instrument through some interesting jazz and blues paces.